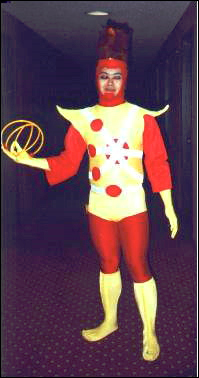 As you can imagine, Firestorm is a very difficult costume to cosplay. Previously, we’ve featured Allen Hansard and Brad West (both from the Superhero Costuming Forum) in their excellent Firestorm cosplay efforts. We’ve also featured the super-fun 2009 San Diego Comic-Con International Firestorm guy. Today we’re going to look at a few more I’ve come across. First up is actor and professional wrestler, Eric “The Smoke” Moran. I met Eric briefly at Dragon*Con 2010 when he was cosplaying Captain Marvel. At the Baltimore Comic-Con, Eric cosplayed the Jason Rusch Post-Infinite Crisis version of Firestorm. 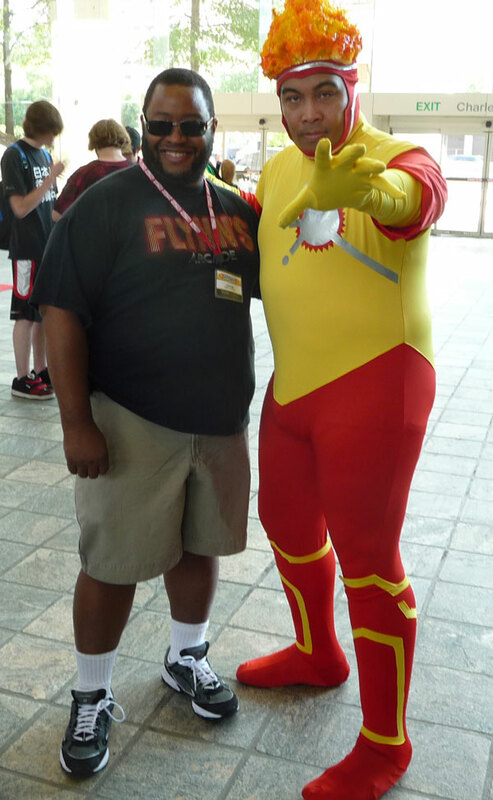 While there, Eric managed to get his picture taken with Jamal Igle, the artist who designed the costume for the Firestorm comic series! Below is a recent Firestorm cosplay by Mr. Jamester who runs the Firestorm the Nuclear Man Facebook group. 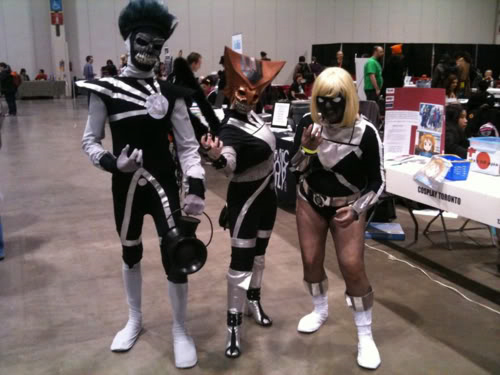 This next photo comes from the Toronto Comic Con 2011 and features Black Lantern Firestorm cosplay, along with Black Lantern Hawkgirl and Black Lantern Terra. 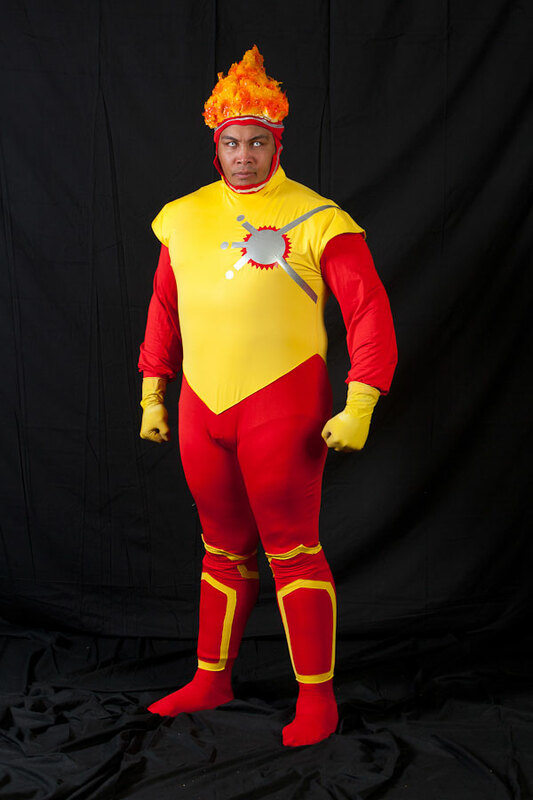 Finally, we have another Firestorm cosplay, this time by cptnspndx also of the Superhero Costuming Forum. The picture is tiny, but you can see he put a lot of effort into the costume! 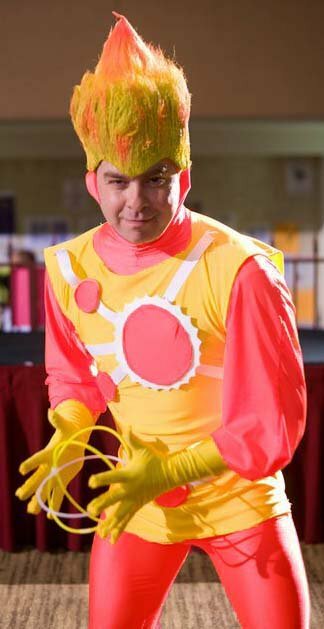 If you spot anyone else cosplaying our favorite Nuclear Man, be sure to snap a pic and send it to FIRESTORM FAN! Posted in: Cosplay, Deathstorm/Black Lantern Firestorm, Firestorm #01: Original (Ronnie/Martin), Firestorm #07: Jason post-Infinite Crisis. Hey thanks for the write up . Awesome job!! !